7. Resist any influence or interference that could undermine your professional integrity. No discrimination should be directed against doctors who do not perform or assist at induced abortions. Respect for the right of personal decision in this area must be stressed, particularly for doctors training in obstetrics and gynecology, and anesthesia. No discrimination should be directed against doctors who provide abortion services. 12. Inform your patient when your personal values would influence the recommendation or practice of any medical procedure that the patient needs or wants. 18. Provide whatever appropriate assistance you can to any person with an urgent need for medical care. 21. Provide your patients with the information they need to make informed decisions about their medical care, and answer their questions to the best of your ability. BII.2.3 Extracts of the CPSBC policy document Access to Medical Care9 were provided in Appendix 3, P. 4 (p. 345). However, the working group failed to include a relevant passage in the policy. The working group also included one sentence from the text (italicized below) under the sub-heading "Referrals." The sub-heading does not exist in the original text. The complete text follows. The parts not included by the working group are in bold face. Physicians are not obliged to provide treatments or procedures to patients which are medically unnecessary or deemed inappropriate based on scientific evidence and their own clinical expertise. While physicians may make a personal choice not to provide a treatment or procedure based on their values and beliefs, the College expects them to provide patients with enough information and assistance to allow them to make informed choices for themselves. This includes advising patients that other physicians may be available to see them, or suggesting that the patient visit an alternate health-care provider. Where needed, physicians must offer assistance and must not abandon the patient. Physicians in these situations should not discuss in detail their personal beliefs if not directly relevant and should not pressure patients to disclose or justify their own beliefs. In all cases, physicians must practise within the confines of the legal system, and provide compassionate, non-judgmental care according to the CMA Code of Ethics.
. . . Your concern focused on the paragraph dealing with conscientious objection and specifically our advice that "where needed physicians must offer assistance and must not abandon the patient." I would like to reassure you that we did not intend this sentence or the paragraph that preceded it to require physicians to provide any treatment that they believe to be either clinically inappropriate or unethical. We were trying to direct physicians to offer whatever assistance they feel professionally and ethically able to offer, and not to withdraw from the care of a patient when unable to provide what the patient is specifically requesting. . . Administrator: Is Access to Medical Care to be understood to require physicians to do what they believe to be immoral or unethical? Administrator: Does the College propose to take disciplinary action against physicians who refuse to do what they believe to be immoral or unethical? BII.2.5 In brief, the CPSBC document Access to Medical Care does not require that objecting physicians provide what the CPSO draft policy calls "an effective referral." When moral or religious beliefs prevent a physician from providing or offering access to information about a legally available medical or surgical treatment or service, that physician must ensure that the patient who seeks such advice or medical care is offered timely access to another physician or resource that will provide accurate information about all available medical options. 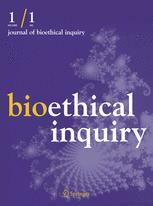 BII.2.7 The working group was obviously unfamiliar with the development and meaning of Moral or Religious Beliefs Affecting Medical Care. Most respondents take exception with the draft, believing that the College will require physicians to refer patients for termination of pregnancy, or at the very least to be compliant in arranging a patient's abortion, contrary to the physician's personal beliefs. This is not true. . . . While recognizing the varied personal convictions of physicians it must still be the responsibility of physicians to ensure that pregnant women who come to them for medical care are provided with or are offered access to information or assistance to enable them to make informed decisions on all available options for their pregnancies including termination. BII.2.10 The section concerning terminations of pregnancy was deleted from the final version of the Standards and the policy Moral or Religious Beliefs Affecting Medical Care adopted. I understand the expectation of referral . . . to hold in those cases in which a physician, for reasons of conscience, is unwilling to advise a patient that a procedure is legally available, or unwilling to explain precisely what is involved with the procedure, its purported risks and benefits, or provide other information a reasonable patient would need to have in order to decide whether or not to undergo an abortion (or assisted suicide, euthanasia, etc.). BII.2.14 The correspondence and explanation make clear that the focus of the policy is the communication of information. If, for reasons of conscience, the physician cannot provide information about a treatment or service, the patient must be directed to a physician who can supply that information. Moral or Religious Beliefs Affecting Medical Care does not require an objecting physician to provide what the CPSO draft policy calls "an effective referral." BII.2.16 The policies of the College of Physicians and Surgeons of Newfoundland and Labrador do not reflect the view that objecting physicians must provide what the CPSO draft policy calls "an effective referral." BII.2.19 The policies of the College of Physicians and Surgeons of Saskatchewan do not reflect the view that objecting physicians must provide what the CPSO draft policy calls "an effective referral." BII.2.21 The preceding paragraphs provide the context for the direction extracted by the working group. The extract included one paragraph (reproduced below) under the sub-heading "Referrals" The sub-heading does not exist in the original text. BII.2.22 Moral Factors and Medical Care, like that of the College in Alberta upon which it is based, does not reflect the view that objecting physicians must provide what the CPSO draft policy calls "an effective referral." 1. are refusing to provide care to existing patients in their practice in relation to medical issues that involve MPI, WCB or an insurance claim. 2. are refusing to accept new patients into their practice on the grounds that the patient needs assistance with respect to MPI, WCB, or an insurance claim or that the patient's care needs are too complex. BII.2.24 Discrimination in Access to Physicians was issued as a result of a problem completely unrelated to the exercise of freedom of conscience by physicians. It does not reflect the view that objecting physicians must provide what the CPSO draft policy calls "an effective referral." BII.2.25 The working group provide an extract of a CPSM document in Appendix 3, P. 4 (p. 345), incorrectly identified as Discrimination in Access to Physicians. The document in question is actually Members Moral or Religious Beliefs Not to Affect Medical Care.26 The extract included one paragraph (reproduced below) under the sub-heading "Referrals." The sub-heading does not exist in the original text. If the moral or religious beliefs of a member prevent him or her from providing or offering access to information about a legally available medical or surgical treatment or service, the member must ensure that the patient who seeks such advice or medical care is offered timely access to another physician or resource that will provide accurate information about all available medical options. BII.2.26 The wording is virtually identical to the wording of previously noted policies of the Colleges of Alberta (BII.2.6) and New Brunswick (BII.2.21). These policies are directed to ensuring that patients have information about all available medical options. They do not reflect the view that objecting physicians must provide what the CPSO draft policy calls "an effective referral." For example, a physician who is opposed to abortion or contraception is free to limit these interventions in a manner that takes into account his or her religious or moral convictions. However, the physician must inform patients of such when they consult for these kinds of professional services and assist them in finding the services requested. BII.2.28 This is the requirement for "effective referral" found in the CPSO draft policy. BII.3.1 Extracts from a document identified as Information for GPs: Conscientious Objection to the Termination of Pregnancy were provided in Appendix 3 at P. 9 (p. 350). The extracts chosen by the working group purport to represent the position of the Australian Medical Association with respect to referral for abortion by objecting physicians. They do not. BII.3.2 Conscientious Objection to the Termination of Pregnancy: Information for GPs is actually a document released in June, 2013 by the Australian Medical Association's branch in the state of Victoria (AMA Victoria).29 It does not represent the policy of the Australian Medical Association concerning referral for morally contested services. This is not evident from the extract provided because, in copying the extracts, the working group deleted information identifying the source. BII.3.3 Conscientious Objection to the Termination of Pregnancy: Information for GPs pertains to the Abortion Law Reform Act of 2008 in the state of Victoria, not to national legislation. This is not evident from the extract provided because, in copying the extracts, the working group deleted the first paragraph, which identifies this Act as the focus of the document. BII.3.4 The Abortion Law Reform Act of 2008 includes a provision that requires physicians who object to abortion for reasons of conscience or religion to refer patients to physicians who do not have such an objection.30 Contrary to the impression created by the extracts, AMA Victoria opposed the provision when the legislation was under consideration. Victoria's doctor union has told the state government it cannot support forcing doctors who conscientiously object to abortions to refer patients on. Their objection is the same one over which the Catholic Church has threatened to close its hospitals. The Australian Medical Association (AMA) Victoria wrote to Premier John Brumby on September 1, telling him it could not support the conscientious objection clause of the Abortion Law Reform Bill. The bill would legalise abortion at up to 24 weeks gestation and make it compulsory for doctors who conscientiously object to abortions to refer the woman to another health professional who has no objections. The AMA said while it welcomed parliament legalising abortion, it could not support the conscientious objection clause and asked it to be removed or amended to reflect existing law. "Doctors are currently not forced to provide a service they believe to be unethical or immoral," AMA Victoria president Douglas Travis said in the letter. "AMA Victoria supports the existing law and ethical obligation to properly inform patients and ensure that services are elsewhere available. BII.3.7 Similar statements are included in two other AMA documents, neither of which were included in Appendix 3 by the working group. 1.6. A doctor who chooses not to provide clinical services, or conduct research, in reproductive medicine should not be subject to discrimination or stigmatisation. Francis Sullivan from CDAV on Vimeo. BII.3.10 Thus, the actual position of the Australian Medical Association on this point is exactly the opposite of what is implied in the materials supplied by the working group. BII.3.11 The materials supplied by the working group in Appendix 3 do not advert to the position taken by AMA Tasmania when the state legislature was considering the Reproductive Health (Access to Terminations) Act (No. 72 of 2013). An early version of the bill included a provision like that in the Victoria law that would have required a physician who objected to abortion to refer a patient to a non-objecting physician. AMA Tasmania opposed this clause. BII.3.14 Contrary to the impression created by the extracts in Appendix 3 at p. 9 (P. 350), the policies of the Australian Medical Council, Medical Board of Australia and the Australian Medical Association do not reflect support of a policy of "effective referral" proposed in the CPSO draft policy. In fact, the actual position of the Australian Medical Association on this point is exactly the opposite of what is implied in the materials supplied by the working group. if he objects to doing so on grounds of conscience. (b) the health practitioner objects on the ground of conscience to providing the service. (2) When this section applies, the health practitioner must inform the person who requests the service that he or she can obtain the service from another health practitioner or from a family planning clinic. BII.4.4 The failure to include the statutory provisions and outcome of Hallagan et al v. General Medical Council NZ in Appendix 3 is likely to leave a reader with the false impression that New Zealand has no guidelines concerning referral for morally contested procedures. BII.4.5 Contrary to the impression that might be created by the extracts in Appendix 3, P. 8 (p. 349), GMC New Zealand policies do not reflect support of a policy of "effective referral" proposed in the CPSO draft policy. In fact, the law in New Zealand prohibits it. BII.5.3 A policy document of the American College of Obstetricians and Gynecologists was quoted at length in Appendix 3, P. 10 (p. 351). The Limits of Conscientious Refusal in Reproductive Medicine49 is a controversial document. It was discussed in hearings into "Conscience in the Practice of the Health Professions" held by the President's Council on Bioethics under the chairmanship of Dr. Edmund D. Pellegrino. Professor Robert P. George critiqued the document. . . .The report . . . in its driving assumptions, reasoning, and conclusions is not morally neutral. . . It represents a partisan position among the family of possible positions debated or adopted by people of reason and goodwill in the medical profession and beyond. Indeed, for me, the partisanship of the report is its most striking feature. . .
BII.5.4 The Limits of Conscientious Refusal in Reproductive Medicine and the response to it by critics is a practical introduction to the kind of serious conflicts underway in the United States concerning the exercise of freedom of conscience by health care workers. It is by no means an uncontested model policy. BII.5.9 As an outline of the situation in the United States relevant to the draft CPSO policy requiring "an effective referral," Appendix 3 is deficient and superficial. BII.6.7 The working group selected the paragraph from Ethics provided in Appendix 3 without providing the context. The first case is not analogous to situations in which nurses decline to participate in treatment for reasons of conscience. The second and third scenarios do not involve situations in which a nurse is ordered to do something she believes to be wrong. More important, the problems presented in the latter scenarios can be resolved by referring to documents and legislation neglected by the working group. BII.6.10 Refusing Assignments and Discontinuing Nursing Services and the regulation both provide alternatives that would likely be acceptable to most objecting nurses (see boldface passages above), since they do not require an objecting nurses to actively find someone willing to do what they find objectionable. The alternatives they provide would resolve the problems presented in the scenarios presented in Ethics, without requiring the objecting nurse to arrange for the morally contentious treatment or procedure to be done by someone else, or forcing the objecting nurse to quit her job or leave the profession. BII.6.14 The deficient information provided by the working group in Appendix 3 is likely to mislead readers by causing them to believe that nurses in Ontario are obliged to provide treatments to which they object for reasons of conscience, to find someone who will provide such treatments in their stead, or to quit their jobs or leave the profession. That is incorrect. BII.7.3 The regulation provides alternatives that would likely be acceptable to most objecting midwives (see boldface passages above), since they do not require an objecting midwives to actively find someone willing to do what they find objectionable. BII.7.4 There are two significant differences between the practice of midwives and other health professionals like nurses or physicians which reduce the probability of unreconcilable conflicts of conscience. First: their scope of practice is restricted to "assessment and monitoring of women during pregnancy, labour and the post-partum period and of their newborn babies, the provision of care during normal pregnancy, labour and post-partum period and the conducting of spontaneous normal vaginal deliveries,"69 and to a limited number of activities or procedures specified by statute.70 On the surface, at least, none of these seem to involve morally contentious services. Second: in order to ensure continuity, midwifery care is supposed to be delivered not by one but by a group of up to four midwives, one of whom is identified as the coordinating midwife,71 and two midwives must attend each birth.72 This would seem to allow accommodation of conscientious objections by individuals with minimal conflict, particularly in view of the options made available by regulation. BII.7.5 It is thus doubtful that the Code of Ethics for midwives is a suitable model for comparison with the draft CPSO policy, but this is not apparent because the information provided by the working group in Appendix 3 was deficient. Part I, Para. 16. Health care providers should not be expected or required to participate in procedures that are contrary to their professional judgement or personal moral values or that are contrary to the values or mission of their facility or agency. Health care providers should declare in advance their inability to participate in procedures that are contrary to their professional or moral values. Health care providers should not be subject to discrimination or reprisal for acting on their beliefs. The exercise of this provision should never put the person receiving care at risk of harm or abandonment. Part II, Para. 10: If the person receiving care or his or her proxy is dissatisfied with the decision, and another care provider, facility or agency is prepared to accommodate the person's needs and preferences, provide the opportunity for transfer. BII.8.4 The working group did not refer to either of these documents. 1. Council Briefing Note: Professional Obligations and Human Rights- Draft for Consultation. Appendix 3: Jurisdictional Review. 6. In the SCC on appeal from the BCCA, Factum of the Intervener, The Canadian Medical Association. 10. Letter from the Deputy Registrar of the College of Physicians and Surgeons of British Columbia to the Administrator, Protection of Conscience Project, dated 27 February, 2013. 11. Letter from the Deputy Registrar of the College of Physicians and Surgeons of British Columbia to the Administrator, Protection of Conscience Project, dated 22 March, 2013. 13. Protection of Conscience Project, Submission to the College of Physicians and Surgeons of Alberta Re: CPSA Draft Standards of Practice (8 October, 2008), II.5. 15. Letter from the Administrator, Protection of Conscience Project to the Registrar of the College of Physicians and Surgeons of Alberta, dated 17 August, 2009. 16. Letter from the Registrar of the College of Physicians and Surgeons of Alberta to the Administrator, Protection of Conscience Project, dated 24 August, 2009. 23. Murphy S. "Clarifying the Clarification: College of Physicians and Surgeons of Saskatchewan Guideline on Unplanned Pregnancy." Protection of Conscience Project. 36. Sullivan F. "Freedom of Conscience and Good Medical Practice: The AMA's position." Conscience Laws and Healthcare Conference, 25 July, 2009. 74. Marshall P, Robson R. "Conflict Resolution." Royal College of Physicians and Surgeons of Canada.